Constantine is coming back the CW, a bit more two-dimensional than the last time we saw him on Arrow, through a new animated series. And if you were dying for more of Matt Ryan in action as the sarcastic spell-slinging demon hunter, then this preview should be more than enough to whet your appetite. It’s great, and although the clip focuses more on the mayhem of a gory fight between the demons Constantine is trying to play off of each other, it’s joyful to hear Matt Ryan in action again. 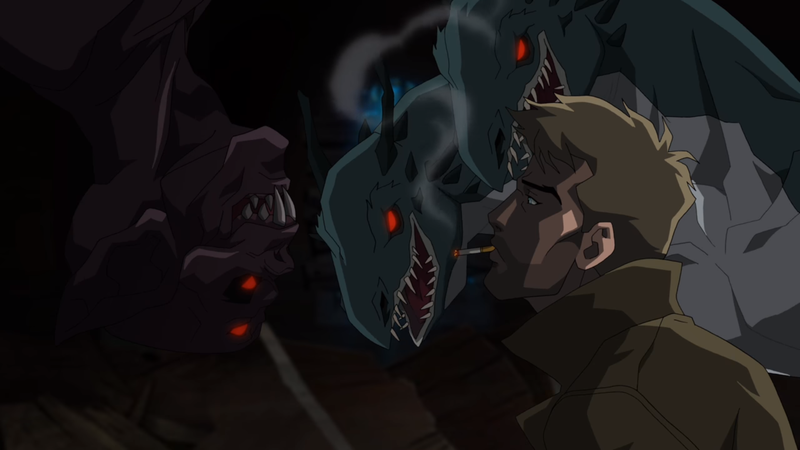 Justice League Dark gave us a great interpretation of Ryan’s Constantine, but to have him back in the CW/DC world, albeit in animated form, just feels right. Constantine hits the CW’s streaming service, Seed, soon.